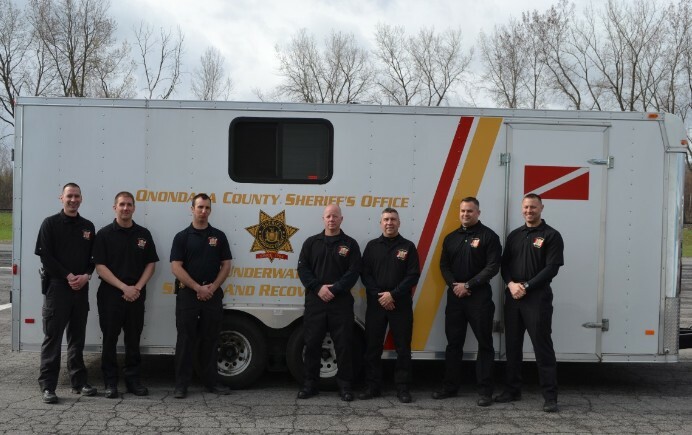 The Underwater Search and Recovery Team is a specialized unit of Deputies from the Sheriff’s Office Police Department. Deputies assigned to the Team do so in addition to their regular duties and on a volunteer basis. Members of the Team are responsible for providing underwater search and recovery of drowning victims, evidence to a crime, and items deemed a hazard to navigation. The Team also provides rescue services to victims of water accidents. Dive Team members receive regular training throughout the year, which is designed to maintain a satisfactory level of diving knowledge and skills. The training includes courses in Night Diving, Underwater Search & Recovery, Swift-Water Dives and Ice Diving.